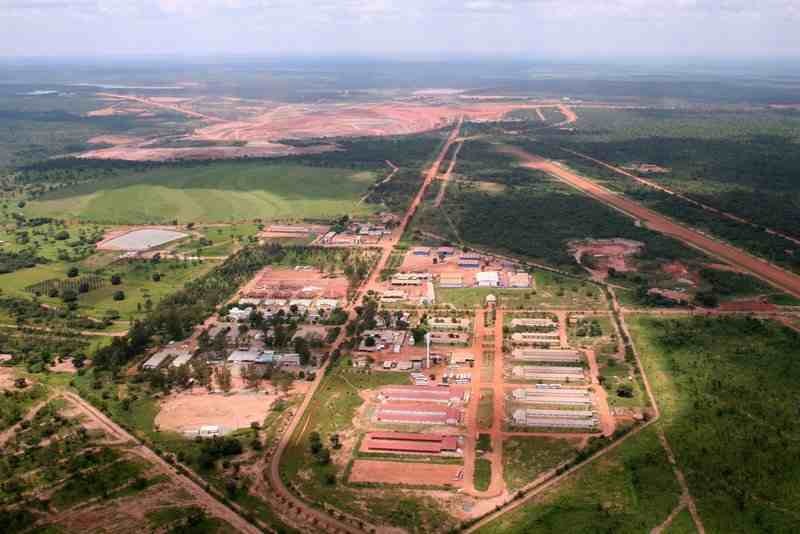 The Angola Field Group has been invited to visit the Catoca diamond mine in the province of Lunda Sul, 30 kilometers from the capital city of Saurimo. 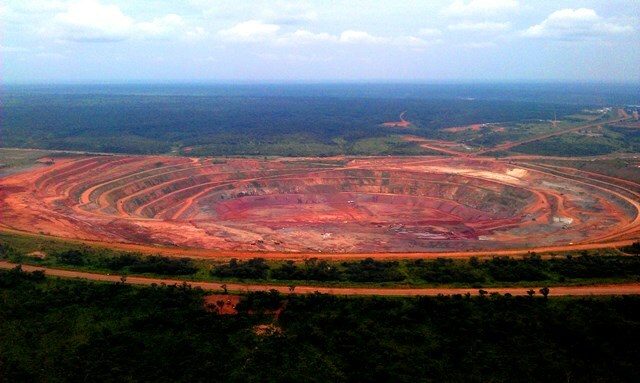 Catoca is considered the world’s 4th biggest diamond mine in terms of size. Diamonds are mined from a large kimberlite pipe, a vertical tube of igneous rock which may contain diamonds. 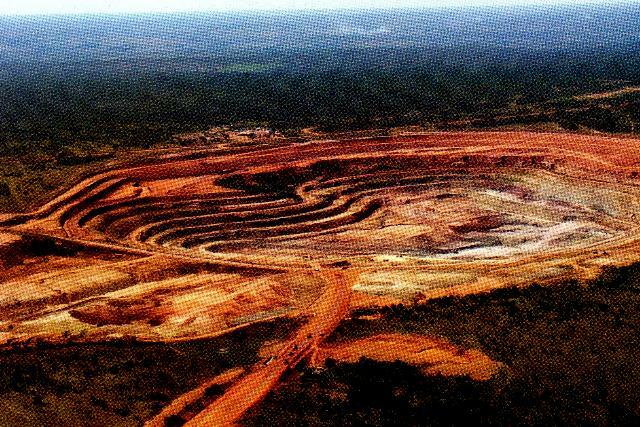 The Catoca kimberlite pipe in Lunda Sul is the fourth largest diamond-rich rock formation on Earth in terms of surface area. Click on photo for enlarged view. This will be a one-day excursion, check-in at the airport at 6:00 AM on Saturday March 03 and be back in Luanda by approximately 5:00 PM. We will be flying on Catoca’s private plane, $350.00 usd per person return trip. (this price is based on the plane being full to capacity). Catoca will host us for lunch. 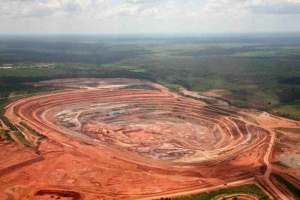 This giant 300 meter deep pit unearthed diamonds representing a profit of 116 million $US in 2011. This field trip is a unique opportunity to see a big working diamond mine up close, beginning at the 300 meter deep pit where the rock is extracted through all the stages ending up at the high security room where the diamonds are displayed and sold. The trip is limited to 45, the maximum capacity of the plane. If you are interested and serious about going, please send an email to: angolafieldgroup@gmail.com with your name, your company’s name, your position in the company and your cell phone number. In approximately 2 week’s time we will send a confirmation email with exact details including what airport we will leave from, exact times and where and when to make final payment. Please note that foreigners MUST have their passport and visa in order because of emigration controls both in Luanda and Saurimo. Receipts or letters are definitely not acceptable. You cannot go on this trip without proper passport and visa. All Angola Field Group trips are at your own risk. Angola Field Group members enroute to 'the pit'. First tourists to Catoca Mine, 2010. Angola's diamonds are known as high quality stones. For more photos of this field trip to the Angola Polishing Diamonds Factory in Telatona, Luanda Sul, check out our Geology page. Angola is one of the top diamond producers in the world but who has ever seen the brilliance of a certified Angolan diamond after it has been cut and polished? The Field Group has been invited to visit the Angola Polishing Diamonds Factory in Talatona, Friday July 1st, at 10:00 AM to view firsthand Angolan diamonds being professionally cut and polished. For security reasons we need to limit the number of participants so please only sign up for this trip if you are certain you can attend. You are responsible for your own transport. Directions will be given to participants. Sign up by sending an email to: angolafieldgroup@gmail.com. You must include your name, passport number and country, and your position/occupation. The Catoca kimberlite pipe in Lunda Sul is the fourth-largest diamond-rich rock formation on Earth in terms of surface area. Kimberlite pipes are vertical tubes of igneous rock which can contain diamonds. ***FEB 9 UPDATE: THIS FIELD TRIP IS NOW FULL. *** An Angola Field Group member has kindly offered to organize a field trip to visit the Catoca diamond mine in the province of Lunda Sul where diamonds are mined from a large kimberlite pipe. Catoca is considered the world’s 4th biggest diamond mine in terms of size and we will be allowed to visit the giant 250 meter deep pit which measures 1200 meters by 1500 meters. 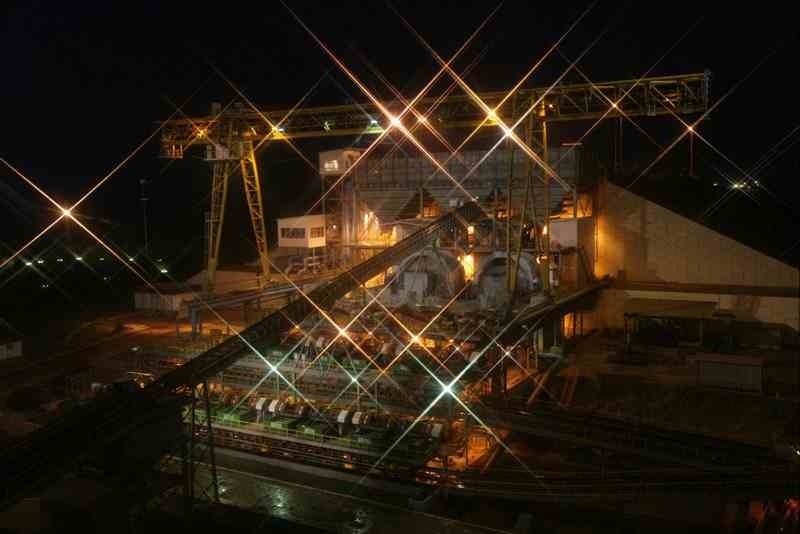 The plant is where the rock from the pit is processed. This will be a one-day trip on private charter (company is AEROJET, plane is Embrair) , meeting at the airport at 6:00 AM on Saturday (date to be confirmed) and flying to Saurimo, the capital city of Lunda Sul where we will be transported by bus to Catoca, 30 kilometers from Saurimo. 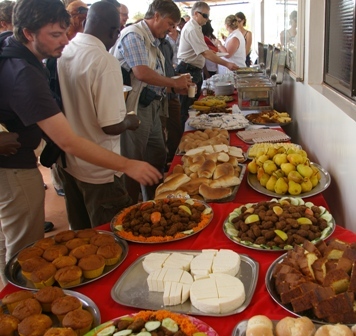 We will be offered lunch at the site and should be back in Luanda by approximately 5:00 PM. The only costs incurred is the cost of the flight which will be approximately $200.00 return per person. Catoca camp with the pit in the background. The camp provides living and recreational facilities for the workers and office facilities. Konstantin Grave, Managing Director of the Luanda branch of ALROSA, is organizing the trip which is scheduled for February 27th but due to his work schedule this date is still provisional and there is a chance it may be set back one or two weeks although every attempt will be made to keep it this date. 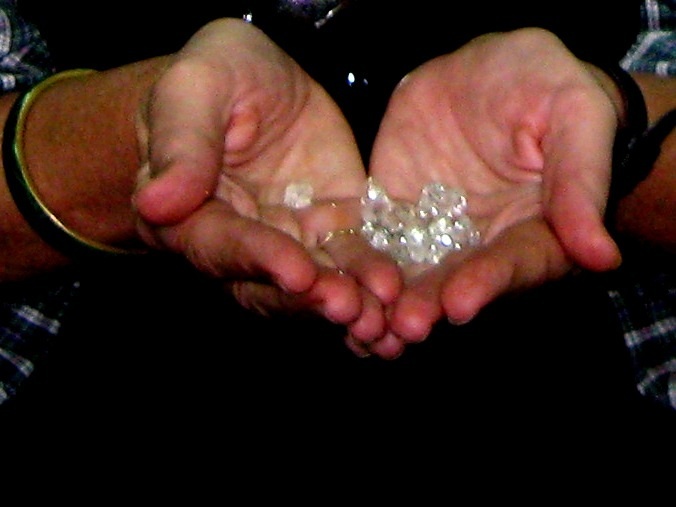 Angola is known for its high quality diamonds. This field trip is a unique opportunity to see a big working diamond mine up close. We have recently had people sign up for field trips and then not show up. We only want people who seriously intend to go to sign up, therefore if you are interested please send an email to: angolafieldgroup@gmail.com with your name, your company’s name and your position in the company plus your cell phone number. In approximately a week’s time we will send a confirmation email with exact details including what airport we will leave from and what time. All photos in this post courtesy Konstantin Grave. Boys playing in the Chicapa River, one of the many diamond bearing rivers and streams in the Lundas where alluvial diamonds abound. Photo © Henriette Koning. 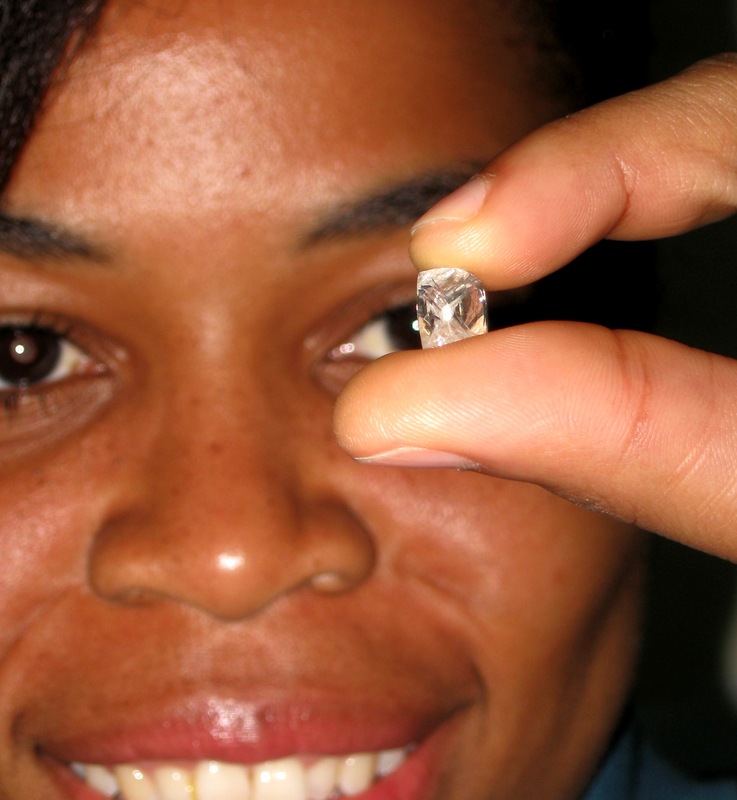 DIAMONDS in Angola… the Angola Field Group invites you to a presentation this Thursday, January 22, at 8:00 PM. 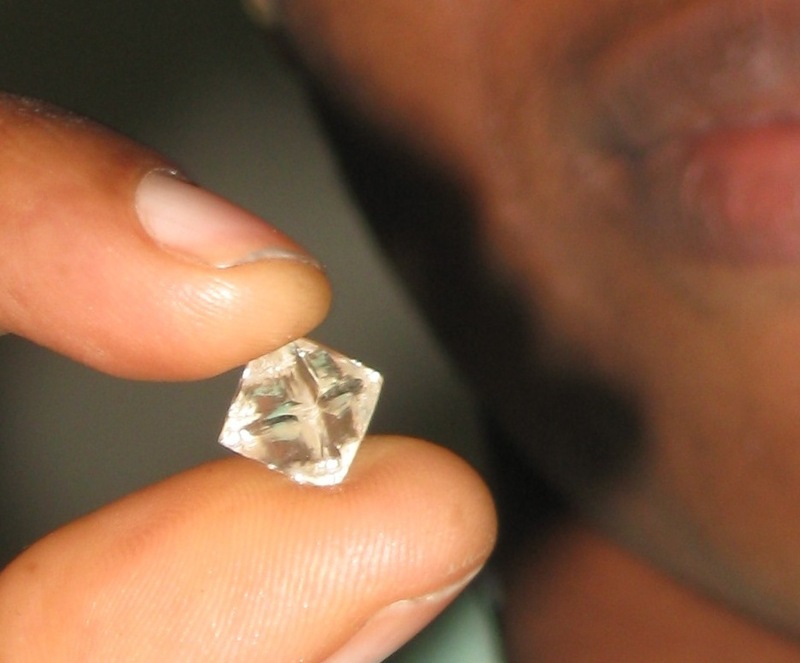 Learn how and where diamonds are being mined in Angola. What’s the difference between alluvial diamonds, kimberlites and diamond pipes? 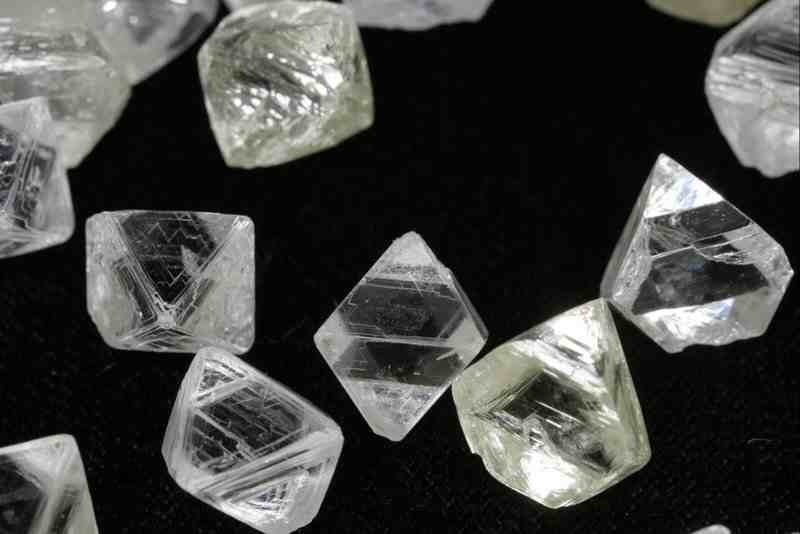 What role did diamond mining activity play during Angola’s long civil war? 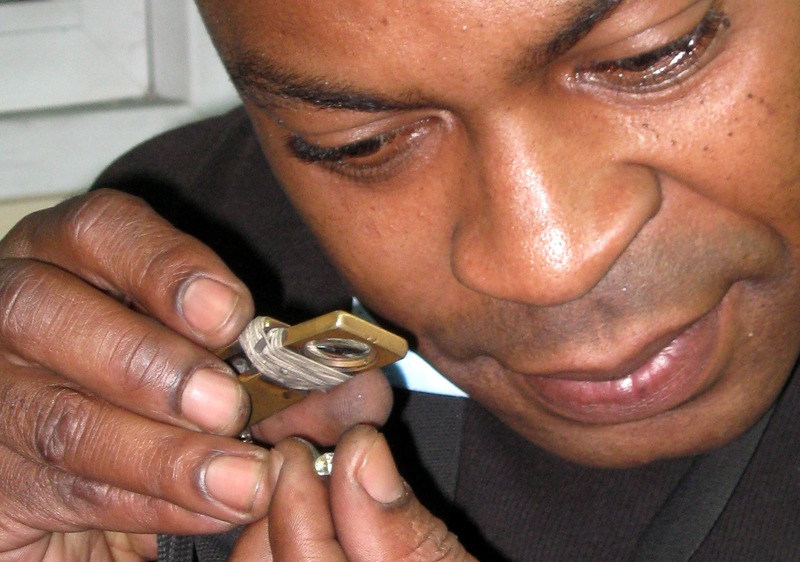 Can Angola’s diamond industry survive today’s plunging diamond prices!? What about blood diamonds? Everything you wanted to know about diamond production and more. Our guest presenter is diamond mining expert Andrew Machin, Technical Manager for ITM Mining Ltd. which has mining projects in Luanda Norte. Andrew, a mining engineer, has worked in the mining industry in Angola for over 25 years and believes that Angola is potentially the richest diamond country in the world. His company is one of the largest diamond mining companies in Angola and is involved in projects that have produced approximately 8.8 million carats from 1993 to 2007. Everybody is welcome to attend this presentation. In close cooperation with the Viking Club, this event is offered free of charge. Alcoholic and non-alcoholic beverages and snacks are sold at the bar, coupons must be purchased. The Viking Bar now opens at 7:30 PM! For sale, books about Angola, in English. If you would like to have a map showing the location of the Viking Club, visit the site’s Join Us page or click here. The Viking Club is on the main floor of the former Swedish Building at Rua Marien N”Guabi, No 118 in Maianga, across the street from the new Panela de Barra restaurant. See you there!